As the Entertainment Capital of the World, Las Vegas attracts millions of tourists each year with world-class resorts, gambling, fine dining, sightseeing and nightlife. Everywhere you look, a casino, restaurant or sports team is spending thousands of dollars on advertising in Las Vegas. But what about local businesses? How can you weed out these tourists to effectively reach residents with your Las Vegas advertising? How are you advertising to these residents? Are you sure you’re doing it right? Does Billboard Advertising in Vegas Work? No matter which way you turn on the Strip, you’ll see a billboard advertising a casino, show, personal injury lawyer or special event. But what if you want to reach residents with your advertising? Wouldn’t you rather know the audience viewing your Las Vegas advertising actually lives here and is genuinely interested in your products or services? Gambling is best left to the tourists and not for your business. Direct mail, not a billboard, is the sure bet to target owner-occupied, high-income households with your ad spend. Reach residents – not tourists! If you’re searching for the agency with the best advertising in Las Vegas, you’ve come to the right place. Valpak of Las Vegas helps thousands of businesses reach qualified households in Las Vegas, North Las Vegas, Henderson, Pahrump, Elko, Mesquite, Boulder City and other cities in Clark County. Direct mail works for business advertising. Contact your Valpak of Las Vegas team to start seeing results. Consumers are more connected than ever before, which means your options to reach them with your advertising message are seemingly endless. So how do you choose the right advertising in Las Vegas? Newspaper ads are inexpensive but deliver so-so return on investment. Billboards are flashy but mass marketing rarely provides the revenue results of targeted advertising. Digital marketing is an awesome tool, especially when used in conjunction and to complement direct mail advertising. Social media marketing introduces your business to a savvy, younger audience but these leads are often more top of the funnel. A good return on investment? Get the performance you deserve from your ad spend by advertising in Las Vegas with Valpak of Las Vegas. Don’t spin the wheel with your advertising dollars – take charge. As a Google Premier Partner, Valpak of Las Vegas has the expertise to grow your business online with digital advertising in Las Vegas. With the robust capabilities of our performance tracking, we ensure greater ROI for your Las Vegas advertising spend. 1. Among households that receive Valpak. 2018 Valpak® Readership Study, Research Now®, December 2018. For specific dates and coverage, contact your Valpak of Las Vegas representative. 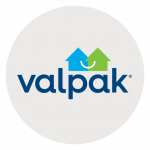 Valpak of Las Vegas is an independently owned Valpak franchise. Joe Musa, the owner of Campus West Liquor Depot, has been in business for 34 years and worked with Valpak for the past 12 years. He credits Valpak with reaching the best homes in the best local neighborhoods around his store to bring in new customers – around 200 to 300 new customers a month. Joe tracks the performance of his advertising and appreciates how Valpak has grown with the changing of the times. Campus West Liquor Depot uses Valpak for its digital marketing solutions too. Joe’s local Valpak office even helps him increase brand awareness on his store’s social media accounts. He appreciates the firepower Valpak has to research the most-effective advertising solutions and the consistent new business he gets from advertising with his local Valpak franchise. Partnering with Valpak has been a success and Joe recommends that his business friends and family use Valpak to increase their advertising return on investment.